Ethernet is a networking technology for transmitting data packets from a source to a destination over a local area network (LAN), metropolitan-area network (MAN) and wide-area network (WAN). An Enterprise network connects the resources and users of an organization through a LAN or wirelessly. A Carrier network provides connectivity to the public internet and between Enterprise networks over MANs or WANs. In an Enterprise network, data is transmitted through a combination of network switches, hubs and routers using collected connectivity data to select the path from a source the destination. In networking, switching and routing refers to packet management over a LAN or a WAN. Network switches, hubs, and routers are responsible for transmitting network data to the correct destination. A packet encapsulates an Ethernet frame and header information, and an Ethernet frame is a container with data and MAC information. Switches are packet protocol agnostic, and filter and forward packets between segments of a LAN. A switch knows the MAC addresses of all the devices it is connected to, and sends the received frame out a port based on this stored information. Hubs are similar to switches, except instead of sending a frame out a specific port they broadcast it out of all the ports. Routers, which are located at gateways, connect between networks and process packet header data to determine the best path for forwarding packets to their destination. The best path is selected using routing algorithms which process the network connectivity information collected using various routing protocols. These protocols include Virtual Router Redundancy Protocol (VRRP), Spanning Tree Protocol (STP), and dynamic routing protocols, such as Routing Information Protocol (RIP), Open Shortest Path First (OSPF), and Border Gateway Protocol (BGP). Carrier Ethernet is high speed Ethernet for Metro Area Networks. Metro Ethernet is a general term used to describe an Ethernet technology network in a metropolitan area. Metro Ethernet is used for connectivity to the public Internet, and is also used for connectivity between corporate sites that are separated geographically. The term Ethernet is prefixed with the word “Carrier” to indicate its usage and additional capabilities. These additional capabilities enable end-users to build MANs and WANs, and service providers to build network infrastructure or deliver Ethernet-based MAN or WAN telecommunications services. Carrier Ethernet implementations can be Ethernet-centric or MPLS-centric depending on the application and type of data. There are multiple configuration options from a topology standpoint providing point-2-point, point-2-multipoint, and multipoint-2-multipoint solutions. The Metro Ethernet Forum (MEF) develops specifications that relate to the management, architecture, interoperability, and implementation of Carrier Ethernet Services. 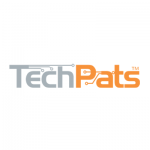 TechPats has extensive experience in the analysis of IP traffic. Our analysts have investigated a number of different network applications and features, including VoIP and video streaming.